Google has a long set of webmaster guidelines, these are guidelines on how to improve your site for search. They recently updated those guidelines, and every time they do such an update to their guidelines, it’s interesting to see what they added and what they changed. Most of the changes were slightly overdue as they had been communicated in other outlets before and didn’t come as a surprise, but it’s still interesting to review both the new and the updated guidelines. Following the General Guidelines below will help Google find, index, and rank your site. That’s the most important bit for “normal” people. But if you’re pushing the boundaries, the second part of the webmaster guidelines come into play: the Quality Guidelines. In this update, Google didn’t change anything important there, but they outline what Google thinks is spam and what could get you banned from Google. If possible, secure your site’s connections with HTTPS. Encrypting interactions between the user and your website is a good practice for communication on the web. I personally am very much in agreement with Google on this. We’ve been writing about moving your site to HTTPS for January 2014, making the move to HTTPS ourselves in March of that year. We’ve got this article to help you make the move, based on stuff we encountered. What’s interesting is that Google seems to want to go even further in Chrome, and mark sites that are not https specifically as unsafe. Design your site for all device types and sizes, including desktops, tablets, and smartphones. Use the mobile friendly testing tool to test how well your pages work on mobile devices, and get feedback on what needs to be fixed. This really, really shouldn’t come as a surprise. In fact it’s more of a surprise that it was only now added to the guidelines. We’ve written about Mobilegeddon before “as it happened”, and, even before that, about mobile-friendly sites and SEO, when Google gave the first warnings about mobile friendliness becoming a ranking factor for mobile search. Ensure that your <title> elements and alt attributes are descriptive, specific, and accurate. We’ve written more about accessibility recently because we’ve known this to be an issue for a long time and we have more posts planned on the topic. This changes two things: it highlights the value of anchor text, be it an alt attribute or the actual link text, which tells Google what the page you’re referring to is about. Design your site to have a clear conceptual page hierarchy. The word conceptual here is very interesting: don’t just make sure everything has a link, but make sure the conceptual hierarchy works. It’s very clear: you need a good site structure and good internal links. 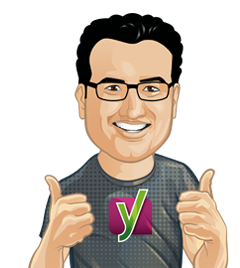 Yoast SEO takes care of the XML sitemap, but we’ve always found creating an HTML sitemap a tough challenge mostly from a UX perspective. I guess we’ll have to try harder as more people will be looking to get one now. There are more technical changes, most of which you shouldn’t need to worry about if you’re a normal user with a decently built website. There’s more coverage on SearchEngine Roundtable and the SEM Post if you want to dive into the rest of the changes. 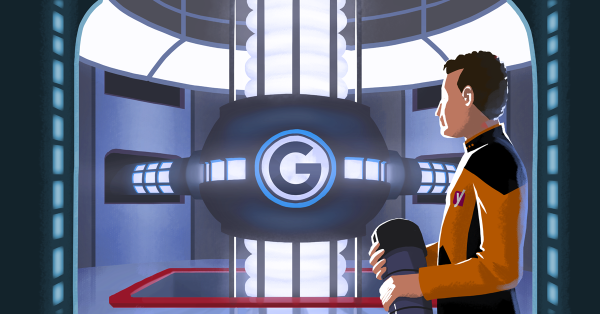 The direction Google is heading isn’t changing: these updated webmaster guidelines focus even more on the value for the user than the previous webmaster guidelines did. These changes do show the points they focus on though, and can lead to making somewhat more informed decisions on what to best spend your time on. The https issue is definitely a good way to secure websites, as well as rewarding the owners with slight boosts in SERPS. This can only enhance the google index, and hopefully make the search results cleaner and more relevant. This along with the “Mobile Friendly” implementation is a great step forward in ensuring better results. At least the guidelines are clearer now than they have ever been. Not just the guidelines, They moved “structured data testing tool” to developer section. Why? that was more like an analytics tool.. right? My site at http://www.jbpowerwash.com has improved tremendously thanks to your great advice and wonderful blog posts. Thank you and know that you are really appreciated. It is fantastic that accessibility is being addressed by Google. Great article, have always been a fan of Anchor text even back when when people used to lean on incoherent geoblocks crammed full of city names. Site structure has always been tricky for me as it is a choice to have the structure flatter or taller with large sites. A huge site could end up with 10 levels of sub link branches which would be a bit much, but being too flat is bad also. When a two sections branch off of a related parent and one of the child sections is busy, does the other child gain any clout for being in the same tree? Thanks for the update and information. I do give importance to site structure and links. Anchor text, alt attributes are of very much importance, they should not be overlooked. The other thing the blindness community would really appreciate is an article on not using captchas or at the very least using one with a voice alternative that is good quality (some are unintelligible). They really stop me from using lots of things until my sighted wife is around and not everyone has a sighted family member. There are mathematical alternatives and excellent plugins that stop spam and don’t use a captcha such as Simple Comments which we use on our sites. As a blind computer user I am thankful that accessibility is taking a higher position and that you will be writing more on it. The sooner that flash elements for one are abolished and no longer used the better as they are just a nightmare. Accessible expanding / cascading menus is another topic that designers need some help on too.